The Best Vegan Lifestyle blogs from thousands of top Vegan blogs in our index using search and social metrics. Data will be refreshed once a week. Vegan Lifestyle newsletter is a comprehensive summary of the day's most important blog posts and news articles from the best Vegan Lifestyle websites on the web, and delivered to your email inbox each morning. To subscribe, simply provide us with your email address. Canada About Blog I Love Vegan is a vegan lifestyle blog with a focus on delicious, wholesome and homestyle, vegan recipes. Facebook fans 9,130. Twitter followers 1,652. Australia About Blog The Minimalist Vegan is about eating well & living mindfully. Prioritising what you love most in life and eliminating the rest. Facebook fans 10,321. Twitter followers 240. Los Angeles, CA About Blog Happy Herbivore is your destination for the plant-based lifestyle!. Lindsay S. Nixon's recipes and cookbooks will save you money by using 'everyday' inexpensive ingredients. Facebook fans 259,789. Twitter followers 41,622. NYC About Blog I'm Gena, voice of The Full Helping, certified nutritionist, cookbook author, and passionate vegan food educator. This space is where I share nourishing plant-based recipes, stories of self-care and self-discovery, and resources to help you explore an informed and compassionate relationship with food. Facebook fans 51,757. Twitter followers 30,926. Iowa, USA About Blog Hi, I'm Cadry. Welcome to my kitchen! This is my vegan food blog, where I share down-to-earth recipes, videos, travel stories, and insights on the vegan lifestyle. Facebook fans 14,420. Twitter followers 2,341. Colorado Springs, CO About Blog JL Fields is the founder and culinary director of the Colorado Springs Vegan Cooking Academy. She is a Master Vegan Lifestyle Coach & Educator, Food for Life instructor, chef instructor in the culinary program at the University of New Mexico-Taos. Facebook fans 14,975. Twitter followers 22,734. Facebook fans 2,489. Twitter followers 4,198. About Blog Chicvegan.com keeps you at the forefront of ethical and eco-friendly living. We provide all the latest and greatest information on vegan life with interviews of notable vegans, plant-based health information, animal-friendly fashion, cruelty-free beauty, yummy vegan recipes, and other random bits of conscientious information. Facebook fans 9,042. Twitter followers 892. About Blog Thinking about trying veganism? Already committed to the vegan lifestyle? Whatever stage you're at, Happy Happy Vegan is for you! Celebrating the vegan lifestyle with all manner of plant-based advice to help you live a meat-free life. Facebook fans 4,510. Twitter followers 693. Los Angeles, CA About Blog The Kind Life is a community around Alicia Silverstone and The Kind Diet where friends, doctors, experts in green living, and members share vegan tips. Facebook fans 655,872. Twitter followers 315,734. About Blog Living a plant-based, vegan lifestyle and loving every minute of it! Sharing my recipes along the way to inspire others to make healthier food choices. Facebook fans 10,649. Twitter followers 1,353. Tucson, AZ About Blog Learn about healthy living from our vegan, raw-food chefs Elaina Love and Katelyn Louise. Gluten-free, vegan, plant-based lifestyle. Facebook fans 7,776. Twitter followers 82. About Blog Soul in the Raw is a high-raw vegan blog, with easy, quick, and delicious vegan recipes, whole food plant based meal plans, and plant-based education. Facebook fans 3,876. Twitter followers 48. Newcastle, Australia About Blog Like a Vegan is a guide to what to buy, what to eat and what to wear. Created by Chelsey, a 28 year old Novocastrian with a heart of gold and a penchant for the culinary arts, Like a Vegan intends to explore the things that vegans want and need to know. From recipes and ingredients to household products, cosmetics and clothing, you’ll find something here to make your life easier. Facebook fans 9,835. Twitter followers 1,652. New York City About Blog Welcome to Main Street Vegan, where our coaches provide you with everything you need to know about veganism and living a healthy & compassionate lifestyle. Facebook fans 14,331. Twitter followers 9,916. Attiki, Greece About Blog Wellness and healthy living, medical & nutrition articles, inspirational quotes, recipes. Facebook fans 989. Twitter followers 26,865. Chiang Mai, Thailand About Blog A guide to eating, dining and surviving as a vegan, vegetarian or fruitarian in Chiang Mai, Northern Thailand. Facebook fans 1,832. Twitter followers 54. About Blog A lifestyle blog full of ideas for plant-based eating, kind living and overall health and wellness. To help readers live healthier, happier lives through plant-based eating, kind living and overall health and wellness. Facebook fans 1,083. Twitter followers 315. Washington, DC About Blog A vegan trailblazer, author, speaker, public health nutritionist and 30-year vegan, Tracye McQuirter, MPH, is celebrating 25 years of helping people be vegan, healthy, and fabulous. Facebook fans 15,184. Twitter followers 7,193. About Blog Your Lifestyle blog about vegan, vegetarian & keto food, fashion, beauty and travel! Facebook fans 432. Twitter followers 22. Bristol, UK About Blog A UK-based vegan lifestyle blog providing digestible, engaging articles covering fashion, beauty, gifts and All Things Vegan. Articles include quick guides and top 10 product lists. Ft. Lauderdale About Blog Hi! I'm Angela. I've been to over 40 countries on my travels and cleared up health issues like adult acne, anxiety, and depression on a Vegan diet. I'm going to show you how you can live and travel healthy as well. About Blog The lifestyle blog of a feminist Gemini vegetarian librarian. Facebook fans 146. Twitter followers 1,205. United Kingdom About Blog ida For You means “life for you”, and is brought to you in the form of our Luxury Vegan Skincare and cosmetic range. Our vegan luxury skincare was designed to enrich, rejuvenate and enhance your skin’s health and appearance. Vida For You is sensitive to economic, environmental and social sustainability. Facebook fans 989. Twitter followers 16. About Blog Beauty & Colour is the first fashion and lifestyle blog written from a vegan perspective. Based in Los Angeles, the blog features cruelty free beauty and fashion, fitness, and travel inspiration. About Blog Vegan American Princess.....Learning to Live a More Vegan Lifestyle--- food, recipes, restaurants, plant-based nutrition, beauty, products, health, news! Facebook fans 4,400. Twitter followers 802. Jersey About Blog A vegan lifestyle blog full of vegan recipes, reviews and everything in between. Inspiring others to adopt a cruelty-free way of living. Facebook fans 536. Twitter followers 113. Ohio, USA About Blog Your Daily Vegan is a vegan lifestyle blog helping you live a happy, healthy, vegan life. Features recipes, books & movies, and more than 50 vegan guides. Facebook fans 5,552. Twitter followers 158,763. SF/LA/NYC/OMG About Blog Vegansaurus is a vegan lifestyle guide. It is definitive/arbitrary. Facebook fans 93,548. Twitter followers 62,508.
chicago, il About Blog A chicago-based vegan lifestyle blog run by Halley. Facebook fans 699. Twitter followers 432. Abu Dhabi About Blog Here, I share with you my ongoing journey towards optimum health, my love for fitness and all things hummus as well as my occasional musings and tips on leading a vegan lifestyle in a culture that doesn’t always embrace vegans or vegetarians with arms wide open. Facebook fans 6,409. Twitter followers 1,307. Soon to be in Ecuador About Blog A 100% plant-based blog sharing healthy recipes, useful tips and tricks, and inspiration to help you live a raw vegan living lifestyle successfully. Facebook fans 3,667. Twitter followers 253. New York City About Blog LAIKA is a magazine and a modern guide to vegan living. Facebook fans 12,040. Twitter followers 2,538. About Blog I’m Claire, creator, and editor of Cruelty-Free With Me. I have an extraordinary love for all living creatures, a passion for health & fitness, photography, makeup, fashion, and basically all things ethical. The goal here is to get you to start making more conscious and kind decisions, let's get inspired together and be as cruelty-free as we can be! About Blog A healthy eating and lifestyle blog focusing on a Vegan diet. Angela is a registered nurse in Edmonton, Alberta. A great source of amazing vegan recipes! Facebook fans 2,561. Twitter followers 112. Southern CA About Blog Healthier & Happier Living with a Plant-Based Diet. Kelli's Vegan Kitchen offers programs and classes designed for all your needs. From group cooking classes to team-building sessions, office wellness presentations to home pantry organization, there is something for everyone! Facebook fans 1,992. Twitter followers 274. Seattle About Blog Vegan lifestyle and cooking blog with recipes, book, restaurant and product reviews as well as health and cooking resources. About Blog I’m Laura, I’m 23 and i write a blog about all things vegan. 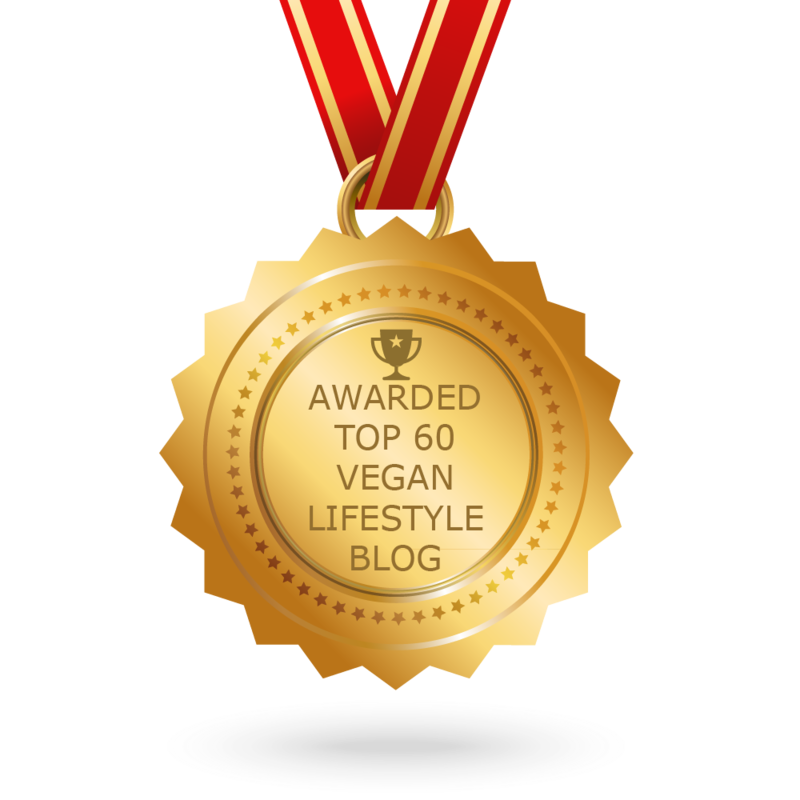 CONGRATULATIONS to every blogger that has made this Top Vegan Lifestyle Blogs list! This is the most comprehensive list of best Vegan Lifestyle blogs on the internet and I’m honoured to have you as part of this! I personally give you a high-five and want to thank you for your contribution to this world.